Email gathering@twinoaks.org if you are interested in performing in 2018. Friday Night: Who doesn’t love a good show? Each year the Women’s Gathering plays host to a series of incredibly talented artists that welcome us to the Gathering with a Friday night performance. 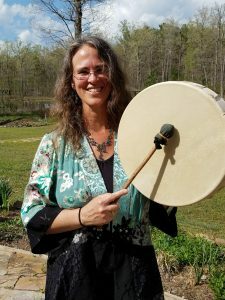 In the past, this evening of entertainment has also included dance-troupes, folk singers, poets, Twin Oaks Belly Dancers, Big Mama Joy as well as Devon Sproule, a Twin Oaks native. This year, the performances will be followed by the dance party. Saturday Night: On Saturday night, throw your inhibitions away and jump on stage to share your talents with the community of fabulous women you’ve been living, learning and loving with over the course of the Gathering. Songs, dances, poems, story-telling—whatever you want to show us, we want to see it! But don’t let the incredible talent of the Sharing Stage performers freak you out…performing at the Twin Oaks Women’s Gathering provides pretty much the most loving and supportive audience you could ask for. Whether you’re a veteran performer, or just want to try something out, the Sharing Stage is the place for you. You can join us at the drum circle after the sharing stage. Inspired by the Beauty Way of Nature and the Feminine Spirit, Maia opens herself to receive and compose songs vocally as well as with guitar and frame drum. Compelled by faith in her own passion to ripen into her deepest and highest potential, much like a flower, she seeks to reach her roots and shoots into the Wonders of Life she finds within and around her, trusting that this reflection moves others to be themselves as well. A native of Texas, Colorado and New Mexico, she is happy to find herself in the mountains of Nelson County Virginia at long last! Mother of a 20 year old son, she is a Traveler on this Life Journey learning to cultivate a smile for all she meets. 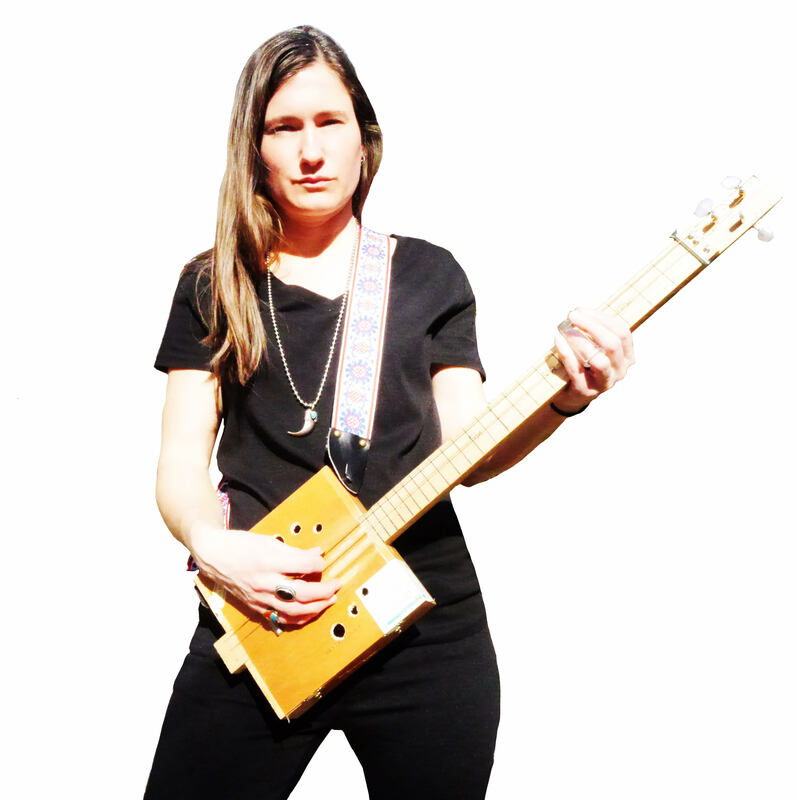 Dar Stellabotta is a musician from Southern Maryland, who builds Cigar Box Guitars. She uses her very first handmade CBG for her performances and released her first CBG album on September 5, 2017. It is jam packed with muddy distortion, slide guitar and kick drum. Dar runs the Sister Dorothy Music Blog and is a screen print artist that owns/operates a Etsy store called Stellabotta Shop. ago that they now have kids and grandkids.